Starting a new business or expanding your business in the Cayman Islands? Congratulations! While you may have meticulously planned many of the details for your establishment, there are some important things you need to know about securing Cayman Islands real estate rentals. Due to its strong economy, stable political environment and offshore benefits, the Cayman Islands are a highly favoured location for businesses. There are currently more than 92,000 businesses, so if you are looking for Grand Cayman office space, the best option is to contact an agent at REM Services Ltd. We can show you listings that match your requirements, saving you a lot of time and effort. Budget clearly is the key factor affecting your decision. The rental price you pay will vary widely depending on the location and size you are seeking for your establishment. Some of the locations can be beneficial for your business even if the rent is high. REM Services Ltd. covers a variety of commercial space, so you can view all the listings that appeal you and choose the location that is right for your business. Do you need a large warehouse or smaller office space? A large retail space or just enough for a small boutique? A real estate agent at REM Services Ltd. can help you pinpoint a commercial property of the right size to accommodate your business. Whether you are looking for new construction or an established venue, REM agents can show you suitable space in different locations around Grand Cayman and match you with the right landlord. The rental agreement is a very important part of this process. After you have found the property that works for your business, check to see if everything discussed is included in writing in the agreement. Read all the terms and conditions carefully, and pay special attention to the points related to dissolution of the lease, should that be necessary. It’s best to rely on professional Cayman Islands real estate agents who can help you select a commercial property that meets your requirements and can match you with the right landlord. We are a trusted realtor with extensive experience in the real estate market. 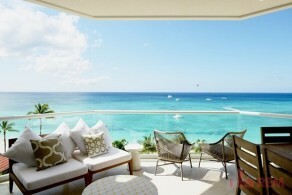 Let us help you find the property in the Cayman Islands that is right for your business.